In the last week eggs laid by a Stick-insect found in the house last summer have begun hatching. 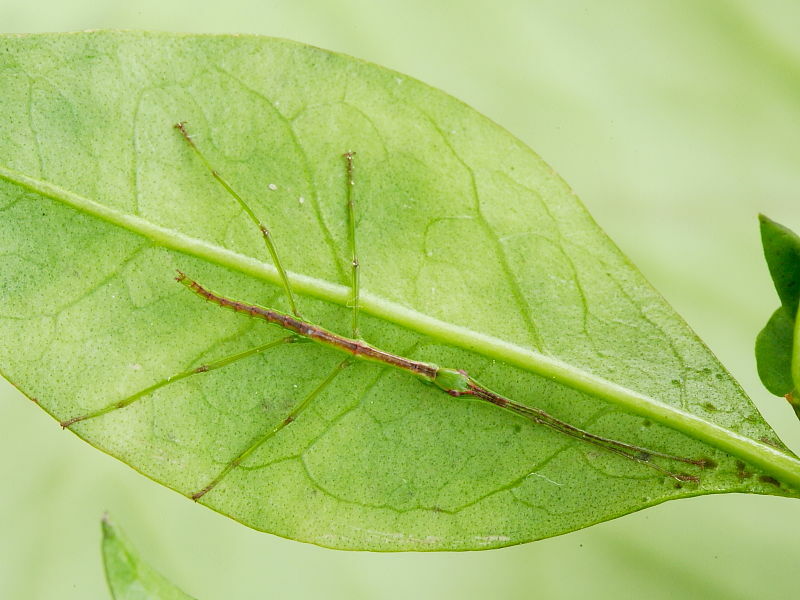 The parent Unarmed Stick-insect, Acanthoxyla inermis, had climbed up the side of the building and entered through an open first floor window. On the carpet underneath the window 12 eggs were found and placed in a plastic caterpillar rearing pot to over winter. So far five nymphs each measuring less than 15mm are being fed on bramble and privet. The nymphs development will be monitored and then released back in the garden when mature.